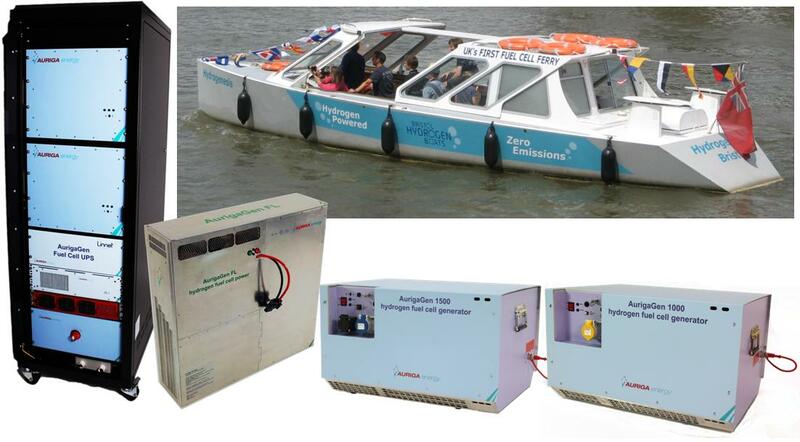 Auriga Energy has developed and continues the development of high efficiency fuel cell systems, for the marine, stationary power (including UPS/backup and portable generators) and materials handling (fork lift) applications. Our proven, award winning, hydrogen and fuel cell systems deliver lower operational costs with high reliability and performance, delivering commercial benefits to users and a cleaner environment. Auriga Energy products help create a clean environment and deliver zero emissions power. Auriga Energy has completed its baseline set of products with our technology proven in the marine domain and in the back-up power/UPS applications. The addition of our AurigaGen portable generators and to power class III fork lifts, completes the initial set and establishes our Intellectual property. The Hydrogenesis, completes its 6th season of reliable operation in the Bristol Harbourside. The boat has proven its award winning technology working in all weather conditions from heat waves to freezing and damp conditions, over 7 years in the water. © AURIGA ENERGY Ltd. All Rights Reserved.